It’s very bold for a manufacturer to claim that they make the best safes built in America. Fort Knox does it and it’s a good reason why they catch a lot of people’s attention. This is why it’s just fitting to do a roundup of Fort Knox Gun Safe reviews so we can prove whether such a big claim holds water. With such a statement, it’s just fair to get to know the brand, not just the products. By looking at three of the best products from the Fort Knox brands, buyers can assess whether the brand’s marketing efforts are just all fluff or with its merits. With some luck, this can also help lots of people find the right safe for their homes. 4 Where are the Fort Knox Gun Safes Made? 5 Why Fort Knox Gun Safe? 5.1 1. They offer a wide range of products. 5.2 2. They stand behind their products. 5.3 3. They are very transparent when it comes to their product’s construction. 5.4 4. They’ll let you customize your safe. 5.5 5. They offer the safe with what could be the thickest steel used. 5.6 6. Great customer service provided. Pistol boxes are a few of the first things that newbies in gun collecting opt to get. They’re usually very affordable and can already get the job done for those who only have a handgun or two. 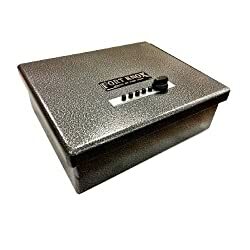 The Fort Knox FTK-PB Pistol Box Handgun Safe proves to be a popular option because of its construction and friendly price. Made with 10-gauge steel, a Symplex mechanical lock, and a heavy-duty, tamper-resistant door, this product can offer great security in a small and affordable package. The best thing about this unit is that it passes the California Safety Device Requirements. This ensures that it’s totally safe. Not because you’re not ready just yet to invest in a huge safe does it mean that you should skimp or settle for anything less than stellar. With the Fort Knox FTK-PB Pistol Box Handgun Safe, you might just be able to enjoy the best of both worlds, though. Concealing a gun safe is one of the most important tasks for lots of owners to help them sleep even better at night. Doing this can be hard with a top-opening variety as accessing such requires a good amount of space. A front-opening gun safe like the Fort Knox Personal Pistol Safe, on the other hand, can be concealed and accessed more easily. The smaller opening can be easier to hide, making it a more attractive option for some. Like the FTK-PB model, the Personal Pistol Safe is also made of a 10-gauge steel and uses a Symplex-type lock. This makes it heavy duty and easy to use, so you won’t have a hard time accessing your valuables. It can fit up to two average size handguns and a few mags and ammunition. You can also opt to mount or tether it to something heavier, so it won’t be easily taken away. Vacations mean that a concealed carry permit holder will need a more portable gun safe to bring along. 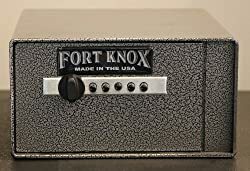 In this case, the Fort Knox FK-Auto is a popular choice. This handgun safe only weighs 12 lbs so it won’t be too much of a hassle to lug around. Of course, this can also a downside for some as it will be easier for a burglar to carry, but that issue can be easily resolved by anchoring the unit. In any case, this gun safe can have everything you need in a portable safe. Its padded interiors will promise that your firearms won’t get scratched. It’s locking mechanism is also very reliable and easily accessible even during emergencies. The best part is that it has a large opening due to its side-opening design. No more need to awkwardly put in things in as this will easily fit your hand inside without a fuss. 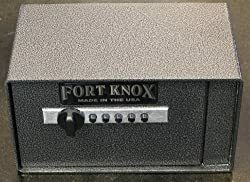 Named after what is considered as one of the most secure places on Earth, the Fort Knox Vaults’ gun safes aim to be as impenetrable as their namesake. Founded more than 30 years ago, it continues to try to improve their products, even after becoming widely considered as one of the best in the market today. Where are the Fort Knox Gun Safes Made? Being made in the US gives the Fort Knox Vaults another badge of honor. Their pieces are manufactured in their factory and headquarters in Orem, Utah. As the company values the quality of their work, they also make sure that they meet, pass, and exceed the standards and testings of Underwriters Laboratories. This further guarantees the top-notch quality of Fort Knox gun safes. Why Fort Knox Gun Safe? 1. They offer a wide range of products. Fort Knox has a seriously vast range of gun safes that you can choose from. They also have various types of safes available, so there’s a high likelihood that you’ll find one that suits your needs. 2. They stand behind their products. Fort Knox gun safes have a very comprehensive lifetime warranty. It also covers other parts that goes to show just how much the brand is willing to stand behind their products. 3. They are very transparent when it comes to their product’s construction. You’ll find lots of information about Fort Knox products online. You won’t even have a hard time finding the details you’re curious about as a quick web search will already do the trick. 4. They’ll let you customize your safe. With each safe made right in their factory in Orem, Utah, it’s possible for the brand to accommodate specific requests when building a safe. You can ask them to add in wood panel interiors, dehumidifiers, special locks, or even decorative artworks in front. 5. They offer the safe with what could be the thickest steel used. The Protector P7261 is actually made with 7-gauge steel which is nearly doubly thicker than the industry standards. If this doesn’t spell security innovation to you, nothing will. 6. Great customer service provided. Fort Knox Vaults is also known for the great customer service they provide. This makes it less stressful to resolve issues with them as they’re very receptive to concerns. Although we were only able to look at three of Fort Knox’ handgun safes, the selection was still able to demonstrate the range of the brand and the great construction they have to offer. They may not be perfect, but they can already do a great job in most cases. As for my top pick, it will have to be the FK-Auto Pistol Box. It’s portable, easily accessible, and versatile which offers a good all-around option for most households. Unlike the other two, it’s more lightweight, but you can just anchor or bolt it down and it’s already secured. It’s also very low-maintenance and practically fuss-free. 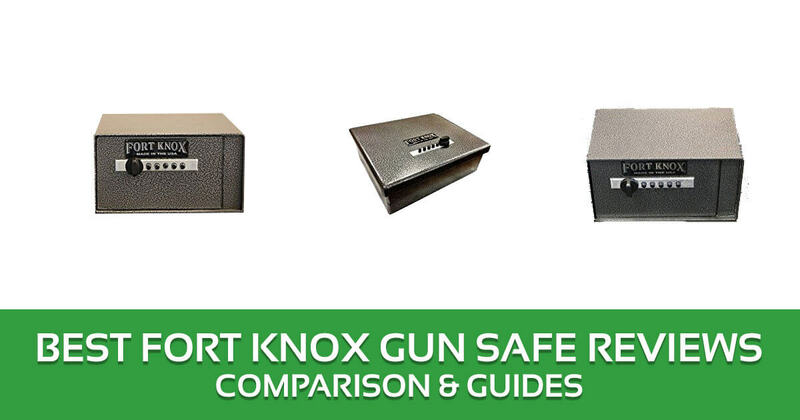 We hope our Fort Knox gun safe reviews help you get to know this American brand better. It has a lot to offer, it might be wise to give it a shot. Any gun owner looking for a bold and versatile gun safe, these are exquisite pieces posted here you should bank on. I Started developing keen interest on the gun safe blogs and one thing I appreciate the blogger has done is some pretty good homework on a wide range of gun issues and this wasn’t a letdown either.